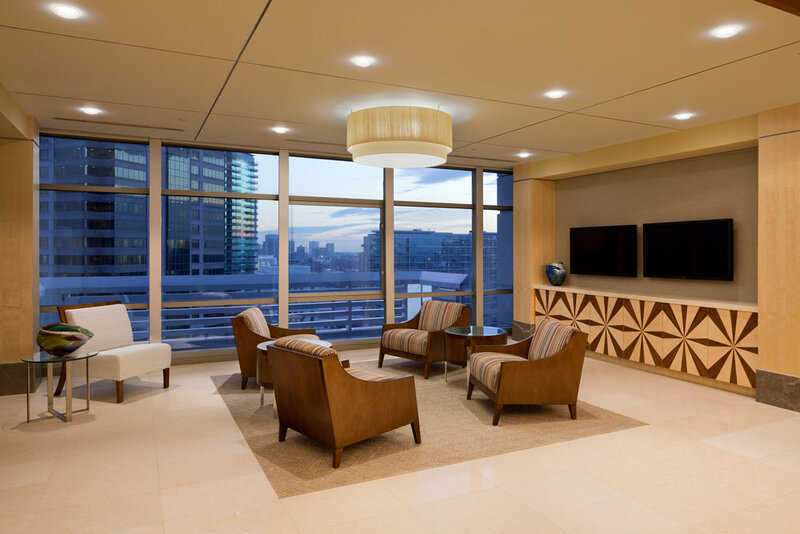 NBA Interiors redesigned the law firms Atlanta office to feel open and light in tone. The theme of Atlanta as the “City of Trees” was denoted through the extensive use of wood veneers and natural materials in the artwork and lighting. Other finishes included natural, subtle tone-on-tone floor patterns in stone and carpet. NBA Interiors also designed custom furniture along with handling technical coordination. Client hospitality spaces were mindfully planned and included a client beverage bar off reception, a client keeping room for breakout meetings, and multiple sizes configurations for meeting space.